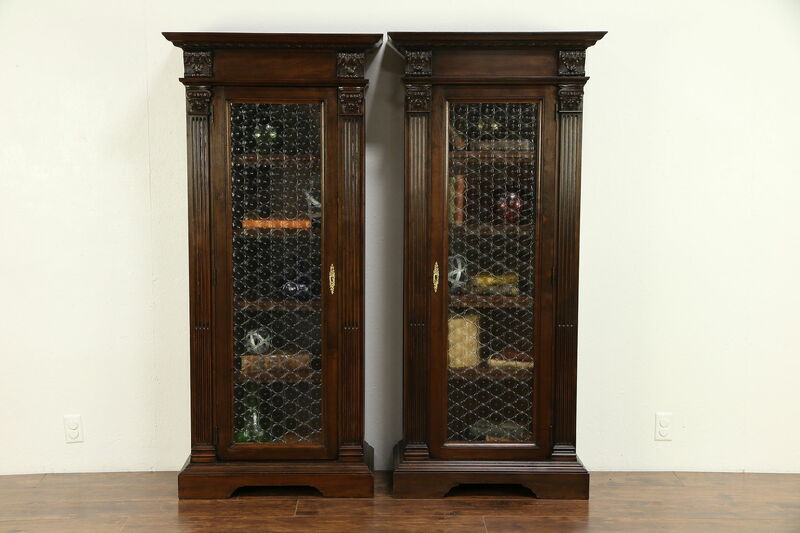 A pair of Renaissance design bookcases or display cabinets were hand carved of solid wormy walnut for a palazzo in northern Italy about 1890. Doors have "bottle bottom" glass and working locks. The restored finish is in excellent condition, preserving just enough mars for a little antique character on this imposing library furniture. Shelves are adjustable on this true right and left pair. Measurements are 32" wide, 15" deep and 70" tall.